Solaroo Energy | Solar Panels Utah Colorado Idaho | Going solar: Fact or fiction? When it comes to solar energy, there seem to be plenty of discussions and opinions about this topic. Surprisingly it’s one of the social hot buttons that can spark a heated debate just as quickly as whether you are team “Blue” or team “Red.” Most of the time, these debates seem to come from limited, skewed, or flat-out wrong information about solar energy and how it affects the average homeowner. Kelly Curtis, Director of Operations at Solaroo Energy, joined us a few months ago to talk about some of the myths surrounding the solar world and we asked him back today to cover a few more misconceptions that are out there. FICTION: It is true that you aren’t going to get as much production out of your solar system when there is high cloud content in the sky, but that doesn’t mean that your solar panels aren’t working at all. FACT: With the Federal and State tax credits, as well as the financing options, the monthly payment ends up being less than the electric payment. For example, if you are paying around $150 a month in electricity and you finance a solar system for around $140 a month, you are already saving $10 a month on your payment and that payment will never increase, whereas your electric bill will continue to rise. The additional savings, once your system is paid off starts to add up into the tens of thousands over the lifetime of your system. “It’s pretty exciting,” Mr. Curtis continues. FICTION: In theory, sure, they can jeopardize a roof. However, solar companies are required to employ engineers to verify the structural integrity of each individual home, taking into consideration snow load and wind conditions. FACT: One of the best incentives for going to solar is that the government offers a tax rebate for the purchase of your solar system. “Some companies, like ours, offer a financing option that allows you to apply the credit directly to your loan, acting as same-as-cash, so you end up seeing the benefits to this rebate immediately,” says Mr. Curtis. For a time, the government offered this credit through December 2015, however, they have extended this warranty for five additional years, so making the switch to solar now makes a lot of sense. 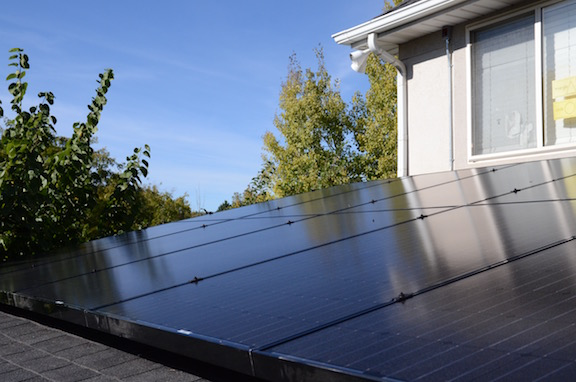 For more information on going solar or for clarity on any of these topics, contact us at 801-826-4888.